Three Wheels United will identify the drivers for the Treo electric three-wheeler and will provide financial service to them. 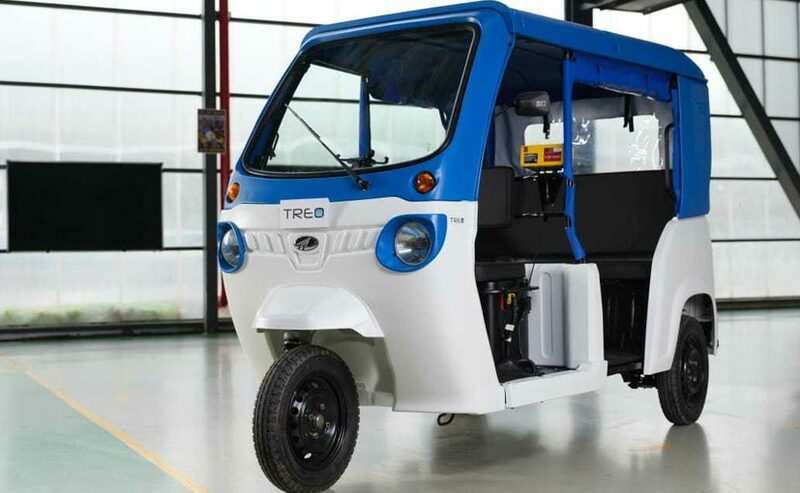 Mahindra Electric has joined hands with Three Wheels United (TWU) to sell 2000 units of the Treo Electric three-wheeler which was launched at at ₹ 2.22 (ex-showroom, Bengaluru) last week. Treo is an advanced electric last mile mobility solution which is primarily aimed at metro cities to serve the purpose of metro feeders and other shared mobility usages. TWU will identify drivers and will provide financial support to them. The MoU was signed during the Auto Day 2018 celebrations on November 17, 2018. The event is an annual property organised by the TWU and brings together almost 5,000 auto drivers. The MoU also includes the use of Mahindra's NEMO (Next Generation Mobility Solution) as the preferred mobility solution platform to be used by the TWU. Treo is the first range of vehicles to offer connected vehicle features as an optional value addition to the customer. Speaking on the development, Mahesh Babu, CEO Mahindra Electric said, "As the pioneers of electric mobility, we are happy to join hands with Three Wheels United to help accelerate the adoption of the Mahindra Treo. Built on India's first Lithium-ion battery, three-wheeler platform, we are confident that the Treo will transform the way urban India travels. Associations with partners like these will make it easier for drivers to adopt electric mobility, and for our cities to be more environment friendly." The Treo is offered in two variants- Treo and Treo Yaari. The Treo is powered by a 7.47 kW Lithium-Ion battery which produces 5.4 kW of peak power and 30 Nm of peak torque and has a drive range of 130 km. The Treo Yaari range is powered by a 3.69 kW lithium-ion battery which develops 2 kW of peak power and 17.5 Nm of peak torque and has a drive range of 80 km. The more powerful battery also makes the Treo speedier at 45 kmph while the Treo Yaari can take a top-speed of 24.5 kmph. It takes 3 hours 50 minutes to full-charge the Treo while the Treo Yaari can be completely charged in 2 hours 30 minutes. The lithium-ion battery that powers the Treo range is claimed to have zero maintenance for five years and the Treo also comes with a regenerative braking system which uses kinetic energy to charge the battery while braking.